Happening on the Hill: New Scholarship Announced from HBCannU, Police Chief Earns New Honor, Lawson Touts FAMU in D.C. The Florida Agricultural and Mechanical University (FAMU) Foundation recently received a $30,000 donation from HBCannU to establish the HBCannU Viola Harvest Scholarship. 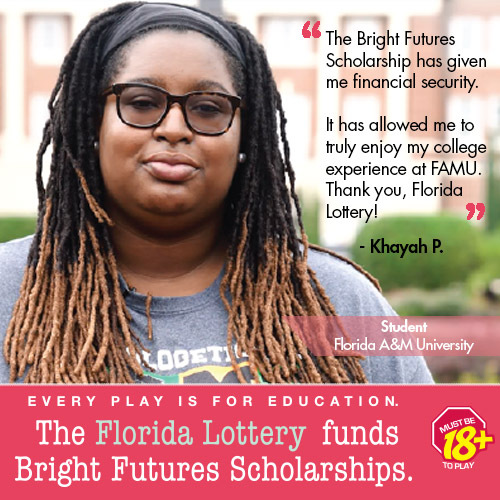 Designed to assist incoming freshmen from low-income and high-crime rate communities, who also have financial need, this scholarship will provide $3,000 for ten (10) FAMU students enrolled in the School of Business & Industry, the College of Agriculture and Food Sciences, the School of the Environment, the School of Journalism & Graphic Communication, the Department of Computer and Information Sciences, and/or the FAMU-FSU College of Engineering. HBCannU has also generously agreed to contribute an additional $30,000 each year for the next four years. Students can apply for the HBCannU Viola Harvest Scholarship by logging on to the University’s scholarship portal at www.famuscholarships.com. The portal will re-open for the 2018-19 Academic Year on September 15, 2018. On August 30, FAMU Police Chief Terence Calloway graduated from FEMA’s National Emergency Management Advanced Academy (NEMAA) at the Emergency Management Institute in Emmitsburg, Maryland, after completing the full curriculum that provides the strategic level training and education and the essential skills needed for emergency management professionals to manage dynamic and resilient emergency management programs. 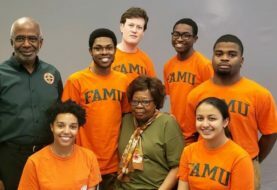 Calloway’s participation is another component of FAMU’s ongoing efforts to emerge as one of the nation’s leaders in campus safety at higher education institutions. Calloway also recently became the District 3 director of the Florida Police Chiefs Association. FEMA’s National Emergency Management Advanced Academy reinforces the qualities needed to manage emergency management programs, provides relevant management theories and concepts, and utilizes appropriate case studies. Advanced Academy participants work within a collaborative environment on projects and establish a network of their peers. The Academy is designed for Emergency Management managers wanting to advance their skill set. Calloway received in-depth training critical to performing emergency management responsibilities, such as: program management and oversight, effective communication at all levels, integrated collaboration, and strategic thinking. U.S. Rep. Al Lawson (FL-05) highlighted Florida A&M University’s success in producing outstanding graduates who have risen to leadership roles in their communities during the Congressional Black Caucus Foundation’s 48th Annual Legislative Conference in Washington, D.C.
Rep. Lawson hosted “FAMU Made: From Mayor to Main Street,” on Friday, September 14. The issues forum will examine the role that FAMU played in preparing the mayors for leadership. • Mayor Melvin Carter, III, St. Paul, Minn.
Keneshia Grant, assistant professor of political science at Howard University and FAMU alumna, will serve as the moderator. U.S. Rep. Lawson represents Florida’s 5th Congressional District, which includes Florida A&M University. Lawson, who is finishing up his first term in Congress, earned his bachelor’s degree in political science in 1970 from FAMU. He serves as ranking member of the Health and Technology Subcommittee of the House Small Business Committee, and on the House Committee on Agriculture. The CBCF Annual Legislative Conference attracts nearly 30,000 participants each year from throughout the nation and is widely regarded as the leading public policy conferences discussing issues of concern to African Americans.